Rebecca is the dynamic and highly accomplished Director/Licensee of the new Harcourts Beachside agency. Rebecca commenced her real estate career in 2001 and has experienced success in business development, sales and property management. She prides herself on a high level of customer service and professionalism, is competent in all aspects of the industry, and is dedicated to her team and clients alike. Her commitment to ongoing professional development has seen her gain Sales, Strata and Property Management qualifications, Business Management accreditation and a Triennial License. Rebecca believes in building a strong relationship based on honesty, respect and communication. Her unwaivering focus has seen herself and her team succeed in providing a service that is unique and unrivalled to their vendors, buyers, lessors and tenants. Rebeca is an active community member, investor and resident of the area, having spent her childhood years in Yanchep due to her family’s long time involvement in the local crayfishing industry. Rebecca can guarantee you will receive the best local knowledge and service possible because WE’RE WHERE YOU ARE, WE ARE YOUR LOCALS IN YANCHEP!! 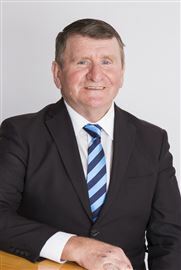 With over 30 years real estate experience John is the longest serving Rep in the area, his local knowledge and expertise are unrivalled. John was the first to establish a real estate office in the Yanchep/Two Rocks area all those years ago. He has recently retired from agency Principal, to concentrate on a Sales Role. John remains a well-respected figure in the community. He enjoys the odd round of golf at the popular Sun City Golf Club, or casting a line at the Lagoon. Mark has over 2 decades of experience in both the business and real estate sector, and is highly experienced in all areas of the property market – as developer, realtor, designer and investor. Combining this priceless hands-on knowledge, with the sharp business acumen developed through the combination of several degrees including an MBA - Mark brings a host of skills to the table, enabling him to assess each situation uniquely, and to design a specific marketing and sales campaign to your property – using proven strategies and techniques – at the same time keeping things modern and fresh, using the latest technology to achieve a remarkable result, ensuring that the seller gets the highest possible price, in the shortest possible time-frame, with the least fuss and stress possible! Marketing, sales and negotiating are fused into one streamlined transaction – delivering outstanding results time and again, creating happy clients along the way – and is a total solution package. When you engage Mark – you engage his total commitment! No stranger to staying for the long haul, Mark is solution orientated, and has competed at the highest level in sporting competitions. Now an avid endurance sport competitor and coach, Mark knows the grit needed to “hang in there”, and plan for all eventualities – hanging in there to get things “over the line”. Mark always has a game-plan and achieves high, having picked up numerous awards both in and out of the Industry, including several REIWA accolades and awards – and achieved top rookie status in his second month in the WA Industry. As a people person, Mark has a passion for ensuring his clients achieve their dreams and beyond – and clients end up as friends, bringing repeat business and referrals time and again. As a devoted family person, Mark believes in a work – life balance, and you will often see Mark around with his family, playing with his kids, getting involved and supporting them at their sporting events. Teaming up with Harcourts – a trusted brand renowned for reliability – in Mark you have the winning formula you need to save YOU time, save YOU money, and put YOU first! Testimonials: Mark is clearly a very talented real-estate agent, his experience in negotiation and communication is second to none. Throughout the entire process of selling our house Mark’s expertise ensured that weboth felt that the sale of our property was in the best of hands.Mark was reliable, friendly, and good-natured and a genuinely nice person who desires the best for his client, he is highly motivated, has extraordinary market knowledge and has the ability to help you get through the experience stress free. Thanks Mark, we could not have asked for a better person to sell our house. Mam and Steve I can highly recommend Mark Asling as a preferred real estate agent. Mark was courteous, punctual and helpful, and obtained a great price for our home in a difficult and competitive market – which we were more than happy with. He kept us well informed every step of the way, and nothing was too much trouble, and he worked well beyond normal work hours on several occasions. I would definitely use his services again, and would recommend him to anyone I know! Judy Lemming We previously had our house on the market for several months with a famous brand Estate brand , with little interest. We changed to using Mark’s services as he had been advertising in the area – and had an offer on our house the next day! Mark was extremely helpful and informative right from the start, communicating at all times and was very proactive. Marks service was of a high standard, honest and reliable. We would highly recommend Mark Asling. Darren and Donna We are so grateful we found Mark. He handled the sale of our house with such ease. It was sold before we knew it. I honestly can't thank Mark enough for making what can often be a difficult process so easy and straight forward. We loved his professionalism, nothing is too much trouble and he is always contactabIe. I would recommend Mark to anyone. Katie We were on the market for many months and had almost given up, when we were recommended to call Mark. We were wanting to return to the UK, and it just wasn't happening, even though we were using a major brand. He got the job done quickly and efficiently. Totally recommended. Kelvin Top bloke. I am a person of not so many words, but good enough to say - couldn't be happier from start to finish. From the get go to the end - which was pretty quick in a bad market, and with a price we were really happy with! Tom. In 2012 Stuart commenced a career in selling Real Estate. His background has been in farming and contract work throughout most of his life. Stuart's rural knowledge is a great benefit in understanding rural property owners needs, and he enjoys bringing this aspect of his experience to selling rural and lifestyle properties. Living in the Alkimos area, Stuart equally enjoys suburban real estate and helping his clients from buying their first home, to investing, upgrading or moving on to new ventures. Stuart is a keen fisherman and also enjoys gardening and Shotokan Karate. A family man with 2 children & 4 grandchildren, Stuart brings to his clients an old fashioned service of honesty, genuine communication and comittment to assisting them in achieving their real estate goals! Andrea has extensive customer service experience from her previous roles working with a building/development company. Wanting to make the most of the lifestyle Yanchep has to offer, Andrea keenly took on a Property Management Assistant’s role and gave away the daily commute to work. She has enjoyed her new career path so much so that she has now completed her registration as a Property Manager. Andrea is always striving to answer any landlord and tenant queries whilst providing a friendly and informative welcome on reception. 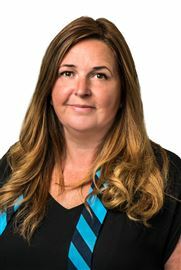 Andrea works closely with our Senior Property Manager to ensure all aspects of day-to-day property management are completed smoothly & efficiently, assisting with inspections and condition reports, maintenance and all general queries. Emma is the newest member of the Harcourts Beachside team, though she has been a long time local first moving to the area as a tenant and then purchasing a family home. Emma is enthusiastic about embarking on a career in real estate. Emma is a hard worker and provides a lot of the ‘behind the scenes’ support to our Property Management Team to ensure the most efficient service is provided. Her cheerful, positive ‘can do’ approach makes her popular with clients, and you will always encounter a friendly smile at reception! More information coming soon.